Toward the end of the college football season, a man with a very distinct voice and a ridiculous haircut is brought on the set of ESPN and asked to give his opinion on the pending NFL Draft. This man is named Mel Kiper Jr. and despite what people say about him, he is the one on T.V. giving his opinion on which college football players he thinks will ultimately get drafted, and where they will go. In his latest mock draft, Mr. Kiper has Marcus Mariota and Arik Armstead listed as first-round draft picks. Let’s delve a little more into Kiper’s decision. 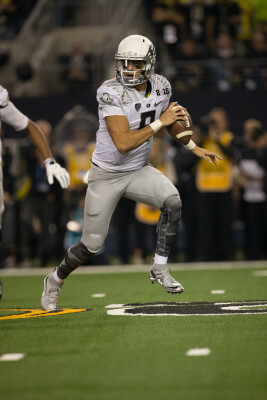 Marcus Mariota in his last college football game. By now I am sure we all know who Mariota is — this past year’s Heisman winner, leader of the Oregon Ducks and the greatest player ever to step foot inside Autzen Stadium. Many people believed Mariota would be taken as the first overall draft pick by the Tampa Bay Buccaneers, but Kiper has Florida State quarterback Jameis Winston listed as his first overall pick. Despite having a difficult time figuring out how to conduct himself off the football field, Winston became one of the most successful quarterbacks in the history of college football. Winston won a Heisman and a National Championship in the same season and extended a win streak all the way to 29 games, eventually ending that win streak in a loss to the quacking Ducks of Oregon. If NFL teams have the guts to overlook all the off-the-field issues that Winston has had since being at Florida State, then he is definitely a No. 1 pick. The main difference here is that Winston came from a pro-style offense, and Mariota a spread offense. Keep in mind that teams will look at a player’s attitude on and off the field. Character defines a man, and Mariota defines what it means to have good character. It should be interesting to see who ends up going No. 1. Armstead has size that defensive coordinators in the NFL want. It was shocking to some to see Armstead declare for the NFL Draft. At 6’8, 290 pounds, he only accounted for 2.5 sacks this year, a number that would not make a defensive line coach happy. However, his height, weight and athleticism is rarely seen in a man of his size. Coaches in the NFL are salivating over the chance to get a player such as Armstead, as many people believe he has the raw ability and talent to quickly mold into an asset for any defensive line. Kiper has him going 17th to the Kansas City Chiefs. With Armstead, it will be interesting to see how things pan out for the big guy. 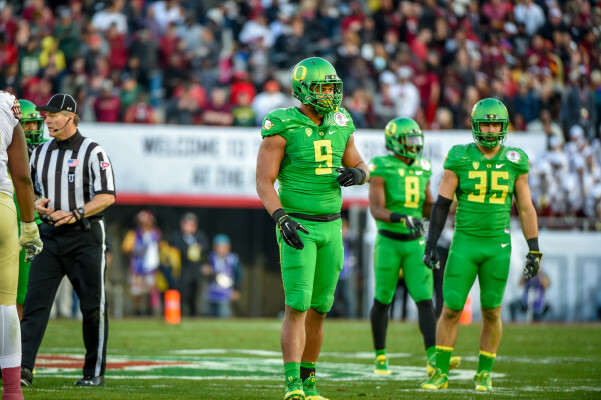 This was a truly successful year for the Oregon Ducks. Winning a Pac-12 Championhip, securing a Rose Bowl win and playing in the first-ever College Football Playoff National Championship is great, but the biggest goal of any college football program is to send its guys to the next level. 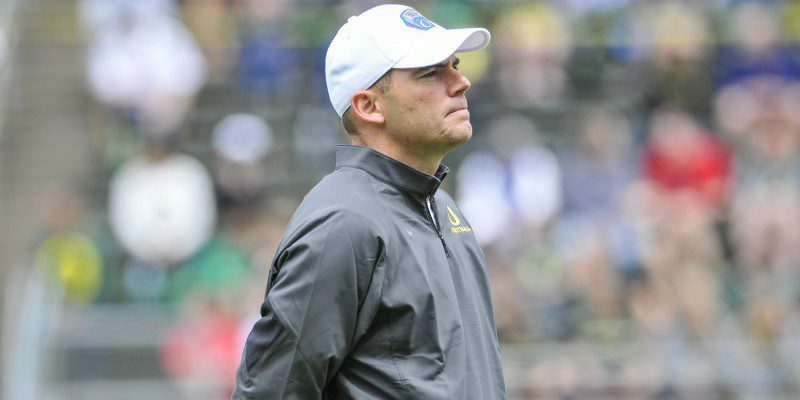 With two projected first-round picks and many more to be taken in the following rounds, the Ducks have a system figured out that helps turn players into NFL talent. The 2015 NFL Draft starts on April 30 and will come to you live from Chicago, IL. Stay tuned to FishDuck.com for the latest news on the NFL Draft and Oregon football.